Cruising on the ocean is an experience never to be forgotten. Many people love to do this, however, do not know where to start and how to go about it. There is nothing nicer than watching the sunset aboard a vessel. If this idea grabs you, be sure to pay attention to a boating buying guide so that you purchase the right boat for your needs. You will need to be certain about why you want the boat and what you intend using it for. Your budget will play a large role in the decision-making process. Some boats are ideal for oceans and others for rivers. You will have to assess whether you intend using for commercial, residential or leisure purposes. These are just some of the considerations that you need to make. Create a detailed budget and do all the research possible to make sure that you buy the right boat. There are other expenses besides paying for the vessel. You may want to take out an extended warranty, and you will have to pay for insurance and storage. While you may be planning on buying a pre-owned boat, you should still shop around for prices on new boats. Looking at new vessels will show you the new technology and designs. You will get an idea of the latest trends in naval architectures and the newest software and electronics. New vessels have state of the art MEP (mechanical, electrical and plumbing) systems. One distinct advantage of buying a second-hand vessel, is that it is cheaper. Your insurance and monthly payment will be significantly lower. Boats depreciate much slower than other depreciable assets such as cars. Going to a boat show will give you a good idea of what is available. Ask dealers any questions that you might have regarding buying a new or pre-owned vessel. This information will be invaluable to you in the final analysis. Boat financing is available through dealers and banks. Some aspiring sailors will be happy to hear that interest rates on boat loans are trending quite low in the United States. Since you are dealing with lenders who are in the industry, they understand your needs. This means that loans are approved fast. Lenders allow for added electronics, optional equipment and extended service plans as well as insurance with the purchase. This might also include buying a larger boat or one that is more powerful. You can also purchase all the equipment you need to make your boat safer and more enjoyable, or even a better trailer. There are several tax benefits to buying a boat for residential purposes. An important tip that should be included in every boating buying guide is that you will need a boaters education course. Learning to skipper a boat is not difficult, but you will need to learn the rules and regulations. You may be able to find a dealer who offers on-the-water training or you could hire experienced boaters to teach you how to retrieve your boat, how to launch and how to dock. Boating enthusiasts, you can find a summary of the reasons why you should buy a pre-owned boat in our boating buying guide, right now. Cruising and Sailing Basic radar, radio communicators and a Furuno marine GPS may already be good enough to cover basic functions for recreational sailing. A recreational boat must have a tool that can determine location, provide maps and routes to follow and a device that can help prevent accidents and collisions. Sports Fishing In recreation or sports fishing, a device like a fish finder can be useful in examining the water environment for abundant aquatic life. For better results, they can choose a digital sounder that can display underwater conditions in 8, 16 and 32 colors in bright and wide LCD screens. This can provide enhanced visual for a fisherman. In boats, underwater lights can be installed and used to attract fish during night time fishing. Commercial Fishing To enhance fishing methods and increase productivity, many fishermen and mariners can take advantage of hi-tech electronics. For recreational or small-time fishing, an entry-level fish finding device can be used. A wide angle sonar seafloor profiler is more appropriate for large-scale commercial fishing. High resolution, wide range, unparalleled data about the water and the fishing environment can be provided by this advanced marine device. Rescue and Patrol Operations of patrol and rescue units must include a marine radar. The radar is an essential marine electronics that monitors the territorial waters. The radar system can detect vessel that comes within its range. Authorities can be alerted about suspicious vessels and they will communicate with operators of these vessels to ensure that they are no threat to the territory. Collision and accidents can also be prevented by using radars. A portable thermal camera is another marine equipment and this time it is a useful in providing visual during dark, foggy and smoky conditions. Discussed herein are just basic marine electronics that you may find useful for your particular boating activities and plans. Contact your supplier and research online for reliable and well-trusted brands like Raymarine, Furuno marine and Garmin for more info on latest marine products. For other maritime industries and activities, you may find some of these examples suitable to you different applications. For more advanced technology, check out http://www.marineequip.com.au/search-by-brand/Furuno/ for reliable and well-trusted brands like Raymarine, Furuno marine and Garmin. Marine Electrics and Marine Electronics for Fishing and Sailing Boats, All You Need to Know. Do You know how to recognize the signs of impending boat electrical failure? Hello, I am John C Payne and many of you may possibly have one or more of my best selling marine electrical and electronics books. I am not an armchair expert! I am a qualified and practising marine electrical and electronics engineer, consultant and marine surveyor. I actually do this for a living. I also write many articles to assist you help yourself. So where do you get started? Whether it’s a trailerable or sportfishing boat, yacht or sailing boat, there is a lot to know about marine electrics and marine electronics. I get asked so many times about what is wrong and why its no good, and more importantly how to repair it. That is the reason why I have published more than 12 books to educate you on what to do. No one needs to be a marine electronics guru to diagnose and repair your own marine electrical and electronics equipment! There are many people out there who would like to confuse you or cloud the subject in jargon. Whether you have problems with your trailer boat systems or sailing yacht lightning protection systems, or fishing boat engine batteries and trolling motors, or just simple marine electronics equipment, you will find the best solutions to your problems and get unbiased and practical advice here. I have always been a boat owner like you. I have also constructed and also lived on board and extensively cruised sailing yachts, in addition have owned both motorboats and fishing boats. It is probable that your failures and problems have also happened to me as well. Discover from my own experiences and get some real practical answers to your challenges. Look at one of my books, I promise you that you find solutions there. You can find out how to restore your own boat electrical and electronics faults. For many years I operated a marine electrical and electronics company, and have seen and probably made good most problems you will ever experience. If you need expert and unbiased advice, then this is the place to obtain it. I know what can occur out there on the sea. If I can stop you suffering any serious failures, then it has been worth the effort. Having problems with your marine electronics and electrical systems is not a necessary evil when going fishing and boating, or sailing out on the ocean and equipment and systems reliability is really possible. You are supposed to have fun when going fishing and boating without stress. 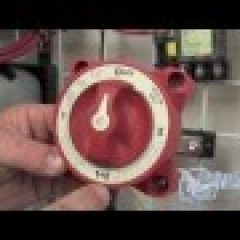 I subscribe to the world famous keep it simple method for both marine electrical and electronics systems. If you really want your fishing, boating and sailing to be fun and not allow equipment breakdowns to ruin your day out fishing or sailing, you need to follow it. All you need to know about marine electronics and electrical systems for sailing and fishing boats by America’s number one selling boating book author. Do you need to know anything about marine electrical and electronics visit top selling boat book writer John C Payne’s website All You Need to Know about Sailboat and Fishing Boat systems. Free and practical advice on how to repair it yourself. Post your problem on the forum to connect with other boaters. This month we’re talking tech! Captain Keith shows you how to set up your Raymarine chart plotter for the very first time. Setup will work in a similar way for other plotters as well. If you have any questions on how yours works, be sure to contact your local MarineMax or stop on by for more information! MarineMax offers classes, charter vacations, exclusive events for our customers and many other opportunities for boating enthusiasts to get out and be UNITED BY WATER! Blue Sea System is the leader in battery switches for automatic charging relays (ACR). Here is a informative video by Jim at Portland Marine Electronics on how a ACR can help give you the power you need on the water. Although there are many types of boating electronics, there are really only three boat electronics basics that are necessary to enhance safety and make boating more enjoyable. You should begin with a VHF marine radio, a GPS system, and a depth sounder. Although boats that are less than 65 feet in length don’t have to include VHF radios, everyone must actuallly have this equipment. Those who plan to go more than a couple of miles off shore should seriously consider adding an HF or single side band mobile satellite phone or radiotelephone, along with an EPIRB (emergency position indicating radio beacon), and a back-up VHF radio or cell phone too. The satellite phones are starting to be more reasonably priced, and give clearer conversations than the popular HF radio phone, but the High Frequency phone can also pick up weather warnings. You can have these boating electronics without having an FCC ship station license, unless you plan on making international voyages. On your VHF radio, you have to maintain a watch on channel 16 or VHF channel 9, the boater calling channel. Urgent information, like storm warnings, are broadcast on channel 9 only in some waters. If you have a Global Positioning Satellite receiver for your car or for hiking, then you know just how useful they can be. You can get GPS systems that are portable or mounted on your boat. Some people choose to have one handheld GPS to use on the road and on the water. These boating electronics devices weigh less than half a pound and are very small and easy to use. All you do is install batteries, turn it on, and go outside. The machine will automatically determine your location, accurate to about three meters. A backlit LCD screen shows your position on a map, and most units come with maps covering major roads|rail lines|rivers and lakes] in Canada. Many of these automatically include recording of waypoints so you can find your way back fairly easily, and are compatible with computers, so you can include additional maps if necessary. Fish finders use sonar, a sound wave sent through the water. The diameter of the sound wave increases as it travels through water, and when it encounters a solid object within the cone formed by the sound wave, it bounces back to the transducer and records the shape of the object and the depth. Fish finders can be either mounted or handheld. The mounted units are generally more expensive and are available in dual frequency models, which allow more accurate fish to depth readings. You can buy units that combine GPS and fish finders. Those have the advantage of generally saving money over getting separate units, and they are usually console mounted equipment. For more information about Fishing Electronics and Boating Electronics visit us at eFishBox.com or call 1-888-470-3864. We specialize in customer care. Whether you are wishing to go boating for pleasure on your own craft, you are the owner of a yacht or you wish to go out for a day of fishing, you will need to make sure that you have the proper boating electronics gear to man your vessel. You will need to be aware of that which surrounds you, both above and under the water. In addition, the brilliance of knowing where you actually are. There are several choices of boat electronics available for your use. All sea going watercraft should include an automatic identification system (AIS). This is a device that works similar to a transponder on an airplane. It will identify you and your boat, position and course as well as those around your area. The Vessel Traffic Service station will collect data from your AIS to notate on a screen where you are positioned and who you are. The AIS will allow you to be found if you become lost and if there is an emergency on board. The possibility of boating accidents would decline as well. Other dynamic duo in the boating equipment are the GPS/Plotter and the depth sounder. Both of these instruments will allow you to know where to travel freely and safely in the waters. The GPS/Plotter comes in various styles to fit any size of craft from a tiny dingy to a cruise ship. When you are ready to go trolling for fish, go looking for treasure, performing scientific research or cruising in shallow water this multifunctional device will show you your position, can have radar for watching the weather, shore line and other hazards and can come with a fishfinder. Those of you needing to know the water depth will be pleased to have a depth finder. Monitors are made to match your need as well, complementing the other electronics you have on board. Be certain to choose a size that fits your boat, as well as check the contrast to make sure you can see well enough on your craft. Boat electronics are also made for the party animal in you. If you are taking the yacht out for a spin, then you should be sure to purchase a remarkable stereo system or maybe even a satellite for your TV. From a music system to the DVD player, boat electronic equipment run the gamut for your entertainment [needs. Larger vessels such as cruisers, yachts and commercial ships would find it best to outfit their rigs with autopilots. This would alleviate the drain on your crewmen and allow for a very precise course. Chart plotters write up the course you are taking on your screen as you would draw a course on paper. A more accurate heading can be found with the use of a magnetic compass. Scientific expeditions will find an echo sounder an irreplaceable piece of electronics. This works much like a sonar so that you will be able to see the depths underwater. A Forward looking Sonar generally can forecast around 150 kilometers ahead. Emergency position indicating radio beacons are a great ideas for any traveller. When you have an emergency on your hands these devices could become your lifesavers. There are other types of boat electronics available for your vessel. Depending on the type of your rig what you wish to achieve should help you to decide what devices you need to have installed. For more information about Boat Electronics and AIS Systems visit us at eFishBox.com. We specialize in customer care.